You’re invited to join us for the 5th year running of the Rock ‘n’ Roll Raleigh Half Marathon presented by WRAL. Race weekend kicks off with a Health & Fitness Expo on Friday, April 6 from 3-7pm and Saturday, April 7 from 10am-5pm at the Raleigh Convention Center. Event weekend will once again feature two days of running: the Rock ‘n’ Roll 5K presented by Brooks on Saturday at Dix Park, and the half marathon on Sunday. 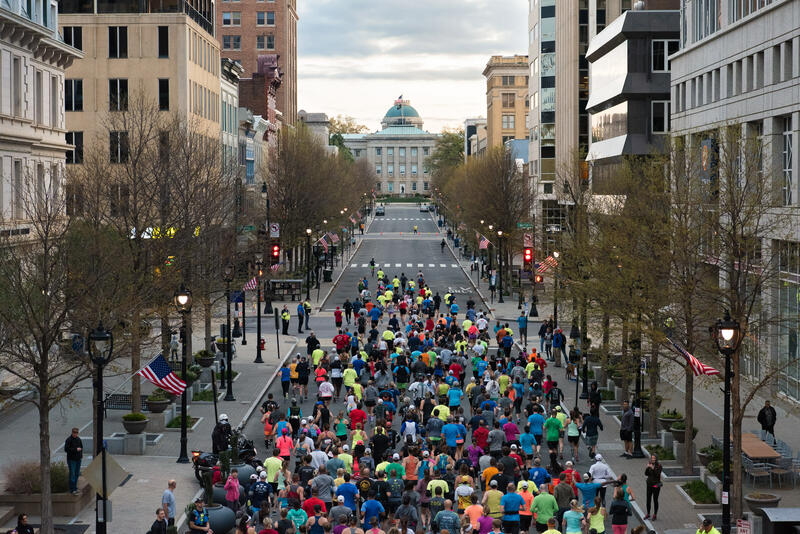 The half marathon begins on Fayetteville St. and will run towards the historic Capitol building before cruising through the downtown historic district and charming neighborhoods. The course features an updated route with less hills and showcases new parts of the city to explore. Participants will end their journey on Lenoir St. outside Red Hat Amphitheater.